The collection of mug shots posted on the South Burlington Police Facebook page is a bizarre rogues' gallery. Some of the subjects look dazed or drunk; others ashamed. Almost all seem unhappy, which is not surprising given that they were photographed after being arrested for everything from shoplifting and drunk driving to soliciting prostitutes. "It's not done for public shaming," South Burlington Police Chief Trevor Whipple said of the department's Facebook page, which also shares information on crime trends, tips and notes on the role of local law enforcement. Launched four years ago, it now has more than 3,000 followers. But not everyone is clicking the "like" button. Some say the mug shots — which remain on the Facebook page indefinitely — humiliate suspects who may later be found innocent. Also, the online gallery doesn't always differentiate between professional criminals and those accused of minor offenses. In the latter cases, the Facebook photo may be the most public, and potentially painful, part of the legal process. "Some people have lost their jobs when their employers find out, so that's a pretty big repercussion," said South Burlington Community Justice Center coordinator Lisa Bedinger. Regarding the posted photos being a deterrent, she observed, "The folks that we work with are willing to take responsibility for what they did, so they actually don't need any more motivation." Disparaging comments are another point of contention. While many media outlets have hired special staff to monitor their websites for civility and veracity, few police academies are training officers on how to patrol the Facebook beat. 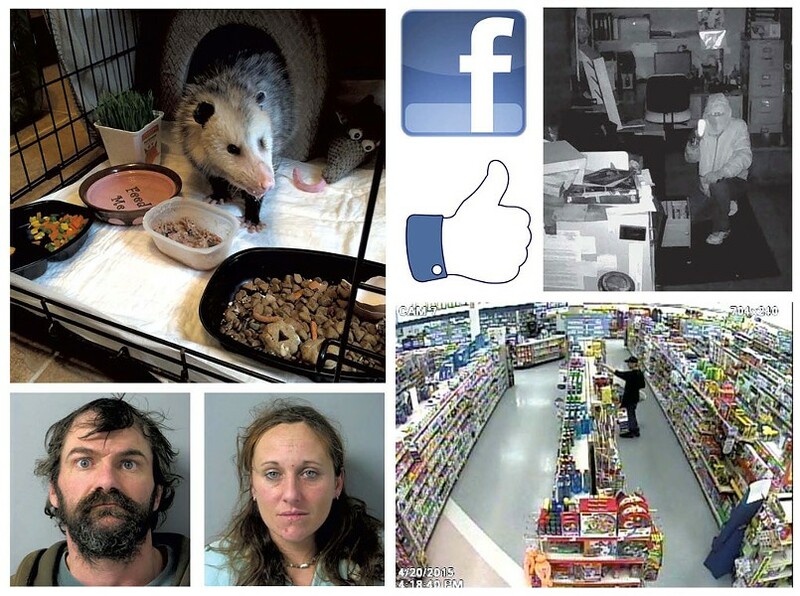 For the first few years, visitors to the South Burlington Police Department Facebook page were allowed to call suspects dirtbags, rats, welfare queens and worse. The level of discourse sank so low this spring that officers who were monitoring the page posted a plea for civility and fewer "swears." When citizens ignored the warnings, the department shut down the public commenting function altogether, and it remains disabled. The decision means police don't have to edit comments in a way that some citizens might construe as censorship, said Whipple. Good news is posted along with bad, the chief said, such as the feel-good story this winter about an opossum that was trapped under the hood of a South Burlington car. The city animal control officer freed the starving critter and began nursing it back to health, to the delight of many who followed the saga in their Facebook feeds. Officers who help with Make-A-Wish and Special Olympics appear on the page, as do announcements about women's self-defense classes and job openings at the police department. "Really the biggest part for me is the transparency to the community," Whipple said. "I want our citizens to know what we're doing, who's involved." Other Vermont law-enforcement agencies use social media as well, with varying approaches. The Vermont State Police Facebook page spreads news about traffic delays, trooper good deeds and crime trends, things like a spree of break-ins, the latest phone scam or another rock slide. VSP also uses Twitter to broadcast breaking news. 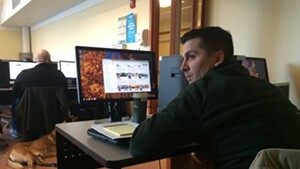 Police in Colchester, Winooski, Burlington and the University of Vermont campus police are on Facebook, too, posting about the next "coffee with a cop" session, the latest local DUI or domestic assault, and memorials for fallen police officers around the country. Burlington police used to have a Facebook page but have retired it for now. Winooski police allow comments, and they come in steadily. Some are innocuous questions of the who-should-I-call-to-fix-the-potholes-on-my street? variety. A large number, though, are reminiscent of a snarky conversation in a high school cafeteria. There's name-calling and arguing about a suspect's character or lack thereof. People who claim to know the suspects weigh in, sometimes to defend them, sometimes to bash them. "Don't hate because he don't want you,'' one woman posted to another about a suspect in which they both appeared to have a romantic interest. A homeless young mother arrested for stealing inspired a range of comments, with some posters saying they would pray for her and others saying she deserved no sympathy. "She abused her kids and is a junkie, she's a bad person everyone don't condone her atrocious actions," one commenter wrote. Another defended the suspect, writing, "Who are these people to judge?" Still another related his own experience: "It's sad, yes, but sometimes the bottom saves your life. I was there once." 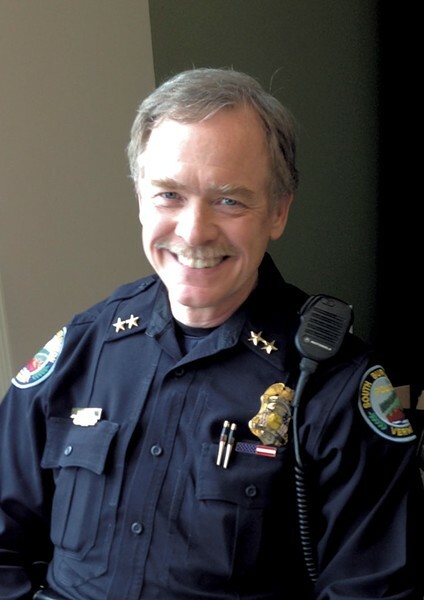 Unless a comment uses profanity or threatens someone's safety, it's generally allowed on the Winooski police Facebook page, said Chief Rick Hebert, who replaced the city's longtime top cop Steve McQueen last year. Hebert created the page a few months later, and it already has 1,700 likes, which puts the page ahead of schedule to reach 3,000 by January 2016. Hebert administers the page himself and deletes comments that violate the rules. But the bar is low enough that plenty of mean and petty ones get through. That's just part of the landscape of social media, according to Hebert, who said he didn't think the page would be successful without that interactivity. Sometimes, feedback can help solve crimes, he added. 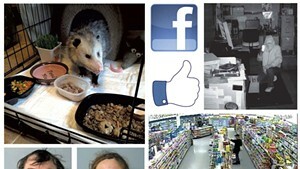 Facebook visitors have passed along tips and helped ID people in surveillance video or photos. When Hebert posted "wanted" mugs of people with outstanding arrest warrants, three people turned themselves in, the chief said. Occasionally people criticize Winooski police on the Facebook page. If the comment follows the rules, it's usually allowed to stay up, Hebert said. Over in South Burlington, Chief Whipple tries to manage his department's Facebook page with uniform rules. That means most mugs go up. "It's everybody," he said. "It's anybody." The SBPD Facebook mugs include well-groomed people who are arrested at some of the city's nicer addresses. But many wear the downtrodden look of poverty, mental illness and addiction: people with gaunt faces, sunken cheeks, and vacant or wild expressions. The more sympathetic viewer might see vulnerability in these visages and wonder if the online exposure has merit. Whipple is convinced the positives outweigh the negatives. He said he's heard that some repeat offenders are opting not to shoplift or deal drugs in South Burlington because the Facebook page makes their crimes more visible. It's probably a small number of individuals, he conceded, stressing that deterrence is not the prime motivation for the page. Not every mug shot goes online, and some are removed. Police don't take photos of juvenile suspects, and mugs are removed from the page when individuals navigate the legal process to have their criminal record expunged. Other people avoid the Facebook lineup because they are injured and hospitalized in the course of committing the crime, or because they are too drunk or drugged to stand when they are arrested. "They can't stand up, we're not going to take a mug shot of them laying on the floor vomiting," Whipple said. One thing visitors won't see on the South Burlington Facebook page: a photo of South Burlington Police Lt. Jeffrey Martel, who was arrested for DUI on March 22. He was off-duty at the time and later pleaded guilty. His mug is not on the page for several reasons, said Whipple. First, he was arrested in Colchester, not South Burlington. "Had we arrested him, it would have been on the page," Whipple said. Furthermore, no photo was available, he said. "Colchester Police told us there was not a mug shot," Whipple said. South Burlington published information about Martel's arrest and the results of an internal-affairs investigation, which suspended Martel for one month without pay for the DUI. "We posted it immediately," Whipple pointed out. Still, Martel's missing mug raises questions about unequal treatment, even if the Colchester police said it wasn't available, said Allen Gilbert, executive director of the Vermont ACLU. "OK, the police say they can't get a mug shot. They get mug shots of everybody else, and they can't get a mug shot of their own officer?" Gilbert said. Details on arrests, including mug shots, are public information in Vermont, with the exception of juvenile crime. So police — and anyone else — have the right to post mug shots online. But Gilbert cautioned that police need to be sure that the tone of their Facebook pages — including the comments — match the department's message. And ultimately, he said, Facebook is not a substitute for "talking to people, getting to know families, kids."